Happy November friends! I hope you are all in candy comas after last night! AND if you've used any of our Halloween printables, we SO want to see! Tag us in your Facebook photos or on Instagram, so we can be amazed by your party genius! NOW: Desktop Calendar comes in two sizes, widescreen, and regular. Make sure you grab the one that fits your computer screen best! 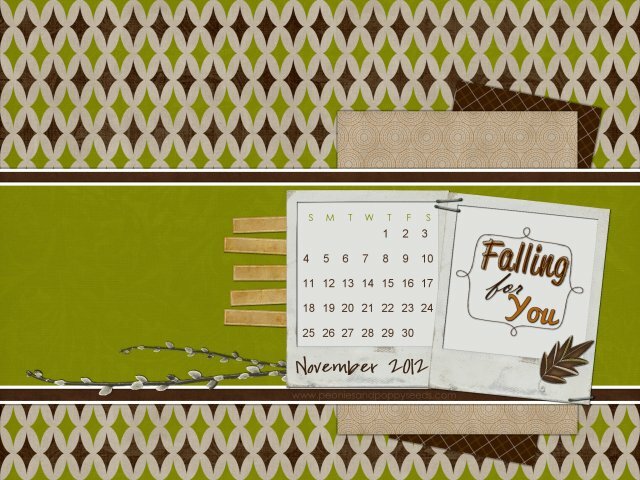 This months desktop features the Modern Fall free digital scrapbook kit from Persnickety Prints and some elements from My Memories Suite, our favorite digital scrapping software! To hear why it's our favorite, and to get a $10 off coupon, visit this link. REMEMBER! Use code STMMMS32407 for $10 off your purchase PLUS a $10 coupon in your software to use in the My Memories Suite online store!